"We supported the Suburban Studs, ageing glam-rockers riding the punk band-wagon. Widely disliked on the Birmingham scene." 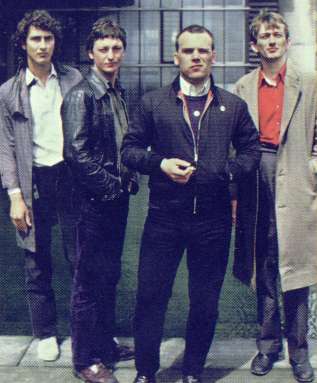 GANG Of FOUR are a new UK group coming together in Kent. Named after the group of leaders who ruled China after Mao's death. The name was suggested to them by Andy Corigan of another new band forming called the Mekons. They all met at Leeds University and are basing themselves there. Vocalist Jon King and guitarist Andy Gill had been in bands previously while still living in Seven Oaks, Kent. 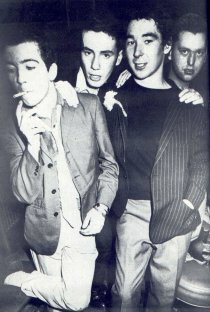 When moving to Leeds University they started the Gang Of Four with Hugo Burnarn on drums and a "hippy bassist"